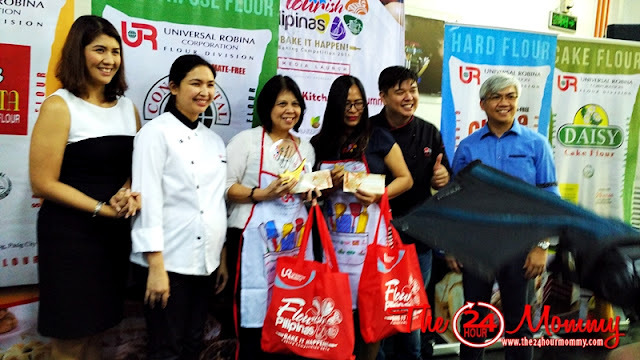 I was present at the media launch the other day and gamely participated in the mini-baking competition that was held during the event. 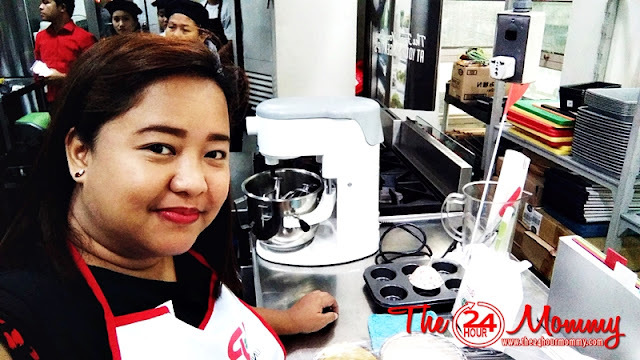 I enrolled in a short baking course before (read about it HERE) but I don't bake often because I dread the heat in my kitchen! Of course, our baking station at the GalaStars Culinary School is better than what I have at home, so yeah, I was in a mood to bake. Konting parinig kay hubby, so he'll have our kitchen air-conditioned, haha! Mommy Erica of www.stuckwith3.com was my partner for the day. My partner for the day was Mommy Erica of www.stuckwith3.com. We were 10 teams in all (we were Team #2) and each team had to bake the same recipe of Chocolate Cupcakes. 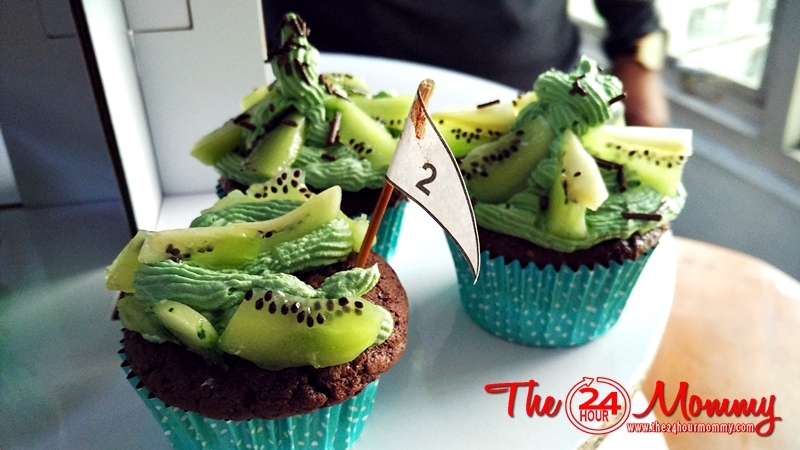 The catch, though, was that we had to incorporate Kiwi in our cupcakes. And though we didn't win, I was happy with our masterpiece. The cupcake was moist and evenly baked. Yun lang, I was never good at designing cupcakes, hahaha! 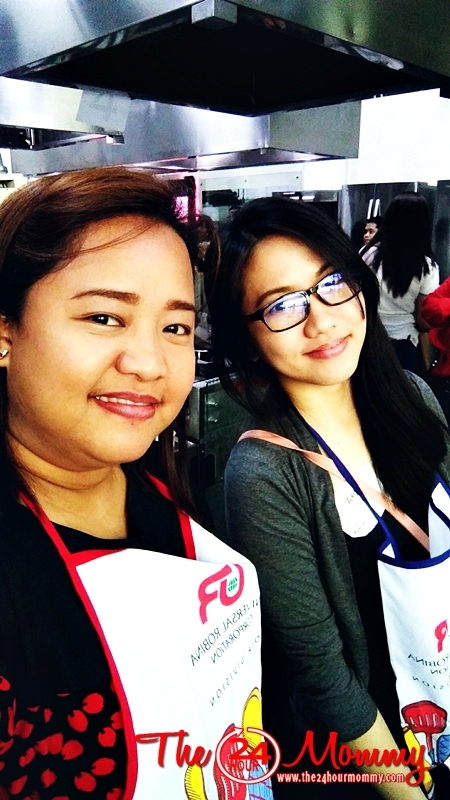 By the way, the winner of that day's baking competition were my dear mommy blogger friend, Mommy Pehpot of www.pehpot.com, and Mommy Myrns Roman. 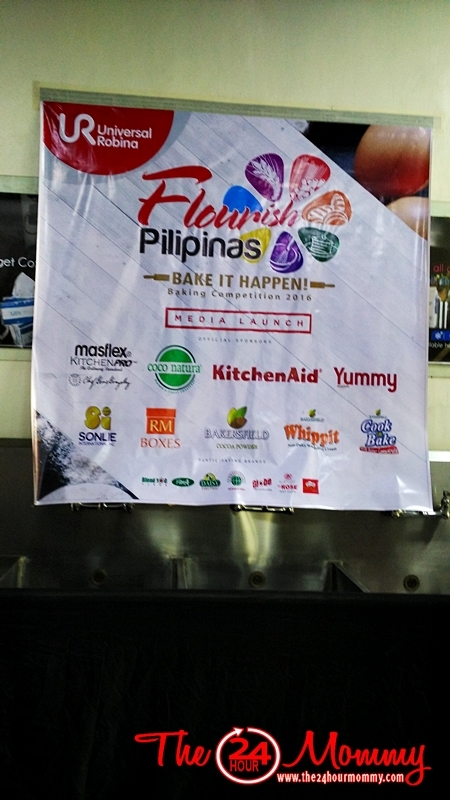 Like in the mini-competition we had, baked creations of participants in Flourish Pilipinas: Bake It Happen! 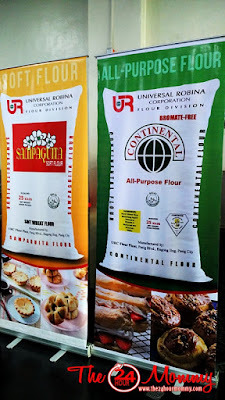 Nationwide Baking Competition 2016 should incorporate a non-functional inrgedient and make use of any of the URC Flour brands such as Blend 100 Flour, Continental All-Purpose Flour (this is the flour we used), Daisy Cake Flour, FibrA+ Whole Wheat Flour, Globe First-Class Flour, My Rose Soft Flour, and Sampaguita Soft Flour. 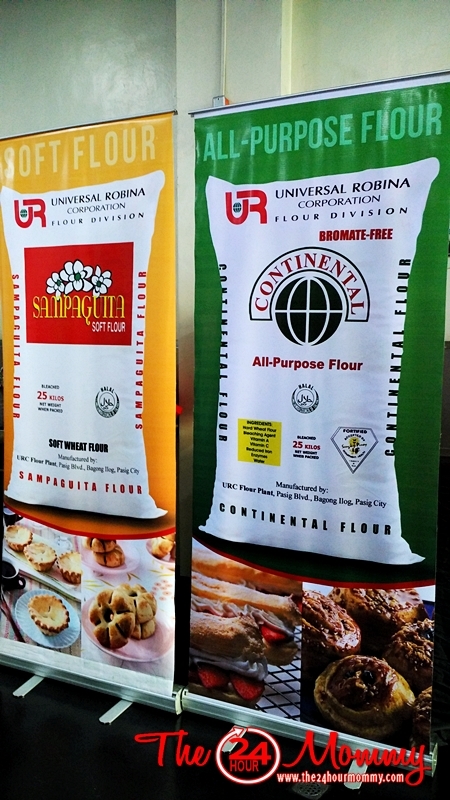 Teams will be shortlisted to compete in the Visayas/Mindanao and GMA/Luzon regional competitions. These will be held at the University of Mindanao in Davao City and Center for Culinary Arts in Manila. All finalists will be given a challenge and a surprise ingredient to use during the bake-off. Trophies, certificates, and more than Php 300,000 worth of prizes await the winners while regional grand champions will also receive internships at the Crowne Plaza Hotel and will be featured at Yummy Magazine. The complete contest details and mechanics, as well as downloadable entry forms, will be available at the Flourish Pilipinas 3 Facebook page. Deadline for submission of entries is on September 30, 2016. View the rest of the photos I took of the event in our Facebook page by clicking HERE. That sounds like such a fun event. What a great time you had. It would be so much fun to compete in a cooking competition. Congrats to the winner and I'm headed over to check out the websites now. I don't think I've joined a baking competition before, it must have been a fun experience for you guys! I'm glad the cupcakes turned out nicely even if you didn't win the competition. Looks like such a fun day. I'm not a big kiwi fan, so I wonder how I would have incorporated them into my recipe. What a fun mini-baking contest. The national one is set to be a really exciting contest! I love your cupcakes! I haven't tried incorporating Kiwi in a cupcake recipe. What a fun event! I love baking competitions like this! Great pictures, too! This competition sounds like a lot of fun. I stink at baking but i'd be super curious to see how others did! Oh, nice! I wish I am there to cheer you all up! I'm so proud of mommy pehpot! I think a baking competition would be fun to watch. I couldn't participate (terrible in the kitchen) but I'd love to watch! It looks like you had a great time. Those cupcakes look interesting I would love to try with the kiwi on top. This looks like it would be so much fun. 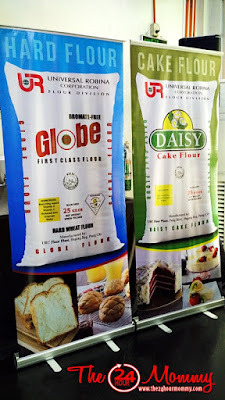 My daughter who is 7, is a huge baker and loves to watch these competitions. I would love to go to one of these. I love watching baking competitions like this. It's cool to see how creative people can get. Kiwi is such a unique twist but I bet it would be delicious.